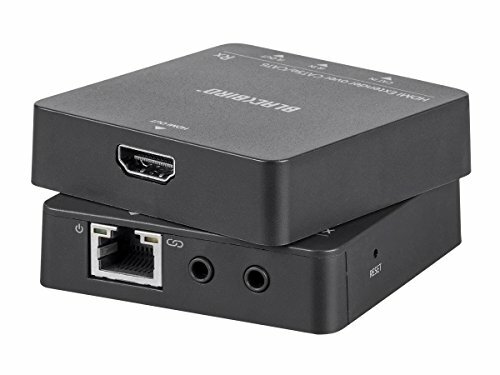 This Blackbird™ HDMI® Extender transmits 1080p@60Hz signals to distances up to 180 feet (55 meters) over a single Cat6 Ethernet cable. It supports the Power over Cable (PoC) feature, which allows the receiver to be powered by the transmitter over the Ethernet cable. It supports bidirectional IR extension, which allows you to control the source device from the remote location, as well as the remote display from the source location.